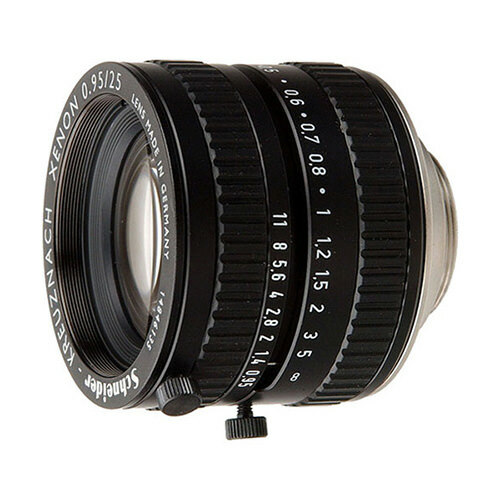 Lens Description: The Schneider Xenon 25mm f/0.95 Lens was designed for the highest optical tolerances required in machine vision, robotics and the cutting edge of scientific research. With its 0.95 maximum aperture the lens will capture images in very low light environments. The variable rings for focus and aperture can be locked down with set-screws to assure consistent operation.